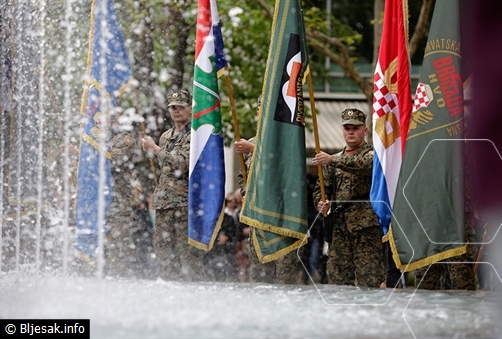 While the 25th Anniversary of the founding of the Croatian Defence Council (HVO) in Bosnia and Herzegovina is to celebrated under the auspices of the Croatian National Assembly in Bosnia and Herzegovina and the HVO and Homeland War unit for the veterans across more than 42 municipalities during this weekend and after, it was the celebrations held in Mostar on Saturday 8th April that appeared to fill the air with a rush of jubilant pride that the success of defending the Croatian people and their lands as well as the state of Bosnia and Herzegovina (BiH) from brutal aggression in early 1990’s generates. 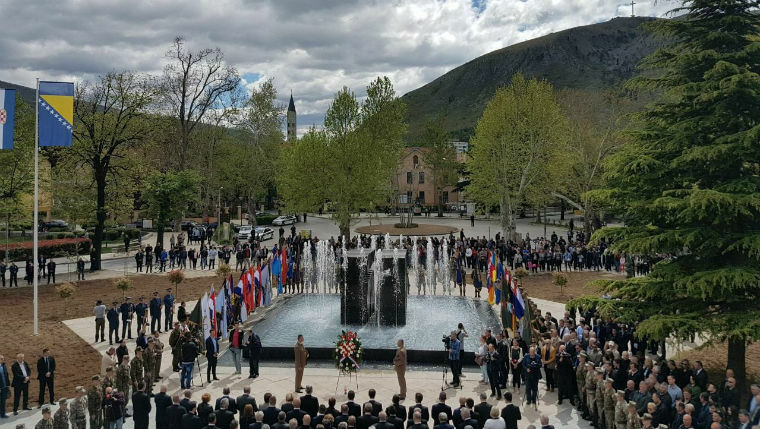 Celebrations in Mostar commenced Saturday with a Mass for those who lost their lives defending their homeland, followed by a solemn procession, the lighting of candles and laying down of wreaths of remembrance; a celebratory Academy was held afterwards. 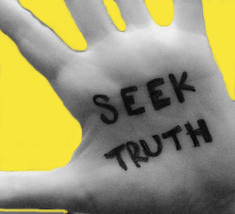 Croatian Defence Council (HVO) was founded on 8th April 1992 as a response to the open aggression against Croats in Bosnia and Herzegovina. Attending the celebratory Academy in Mostar were officials representing the Croatian people in Bosnia and Herzegovina, Croatian government and parliamentary delegation, members of BiH armed forces and veterans’ associations, war commanders, church dignitaries, Croatian Generals’ Assembly representatives and many others. Main speakers at the Academy were Dragan Covic, Croatian member of BiH Presidency, general Stanko Sopta and Croatia’s veterans’ affairs minister Tomo Medved. 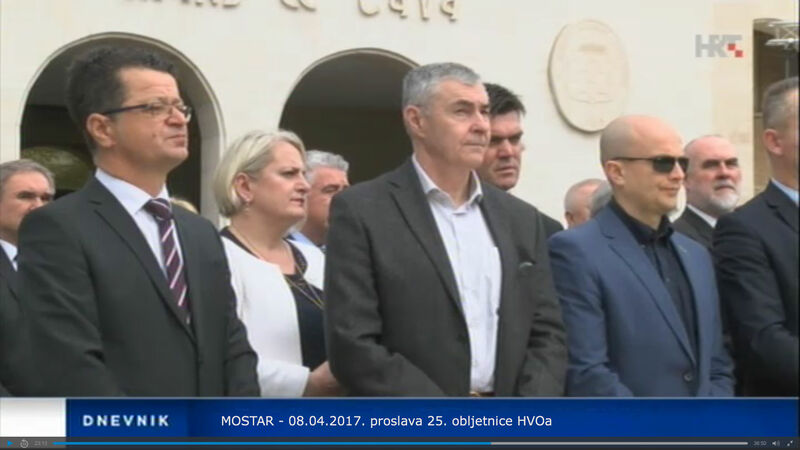 When others weren’t capable to undertake defending the country from aggression Croatian Defence Council (HVO) was the first to stand up in defending Bosnia and Herzegovina. HVO, together with the Croatian Army and Army of BiH liberated BiH and thus made peace possible, said Bozo Ljubic, president of Central Council of Croatian National Council in BiH. The central message sent to the world from the celebration was that of unity and togetherness with a determined stand to ensure the survival of the Croatian people as equals in the multi-ethnic country consisting of Croats, Bosniaks (Muslims) and Serbs. 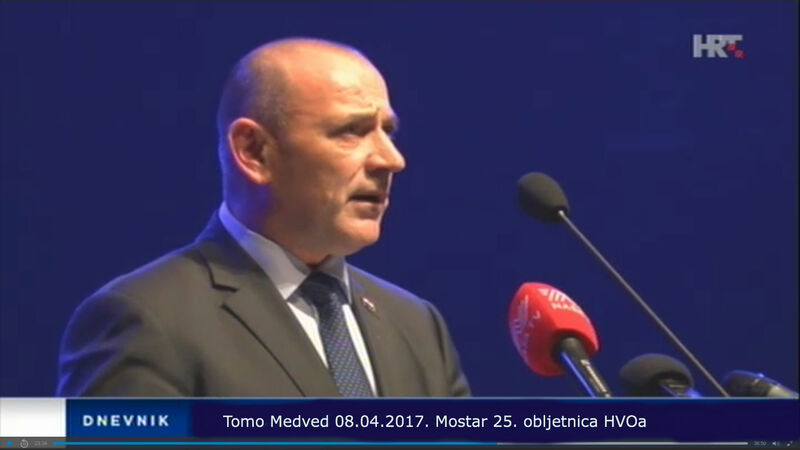 Attending the celebrations in Mostar Croatia’s veterans affairs minister Tomo Medved said at the Academy that without the establishment of HVO the survival of the Croatian people in Bosnia and Herzegovina and the survival of Bosnia and Herzegovina state would have been questionable and in dire jeopardy. He pledged support for the persecuted Croatian veterans from Bosnia and Herzegovina war (through which there is an attempt to change recent Croatian history and Croatian heroes persecuted) and to defending the truth about the Homeland War, further adding that the Ministry and the Government of Croatia shall not forget the Croatian victims and the suffering and announced the passing in Croatia’s parliament of a unique law on the rights of veterans that would also include the rights of members of HVO. 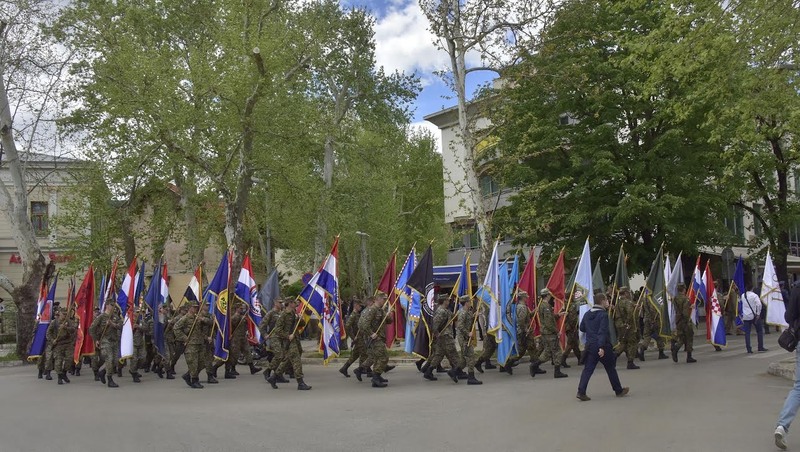 This is an occasion in which we need to remember the path through which HVO formations went, the immeasurable contribution to the preservation of home and homeland and Croats in Bosnia and Herzegovina, Medved said. It is to be remembered that HVO was the main armed force and the highest executive and administrative body for the Croatian Republic of Herceg-Bosna created during the times of Homeland War in Bosnia and Herzegovina in 1990’s and the main armed force for Croats in Bosnia and Herzegovina serving the goal of defending Croats at times of aggression. On 18 November 1991 the Croatian political leadership in Bosnia and Herzegovina founded the Croatian Community of Herceg-Bosna. 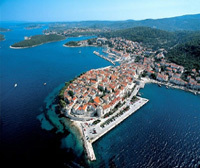 Due to the need to defend itself Herceg-Bosna organised the formation of the Croatian Defence Council (HVO). Only a couple of days after its formation HVO entered into large and intense battles with the much more powerful Serbian army and the Yugoslav Peoples’ Army around Kupres, where it sustained large losses, and from 13 – 23 April 1992 destroyed the large Serbian offensive around Livno and its charge towards Herzegovina and Neretva region. On 23rd June 1992 HVO seized in Capljina the first army barracks belonging to the aggressor. After the signing of the Dayton Peace Accords in 1995 and at the international community’s insistence HVO is defined as the Croatian component of the Army of the Federation of Bosnia and Herzegovina, and after the 2005 reforms it was transformed into the First Infantry Regiment, one of the three regiments of the Armed Forces of Bosnia and Herzegovina.